Staton Davis' current body of sculptural work reflects his enthusiasm for life and biology. From an early age he divided his time between his interest in art and that in the living world, either drawing in one of his sketch books or playing in the woods around his parent’s home. This gave rise to his appreciation of science and meticulous attention to the aesthetics of the natural world, both of which are incorporated into his work. 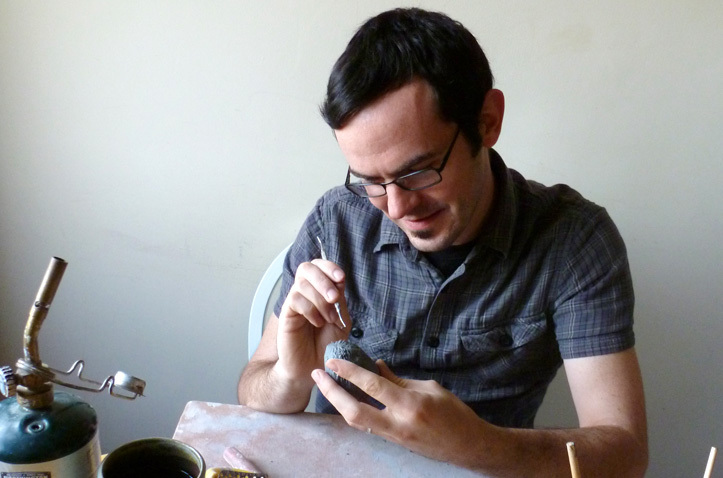 Staton graduated from East Carolina University in 2004 with a BFA, and received his MFA in 2008 from the University of South Carolina. He currently lives with his wife and son in Athens, Ohio.